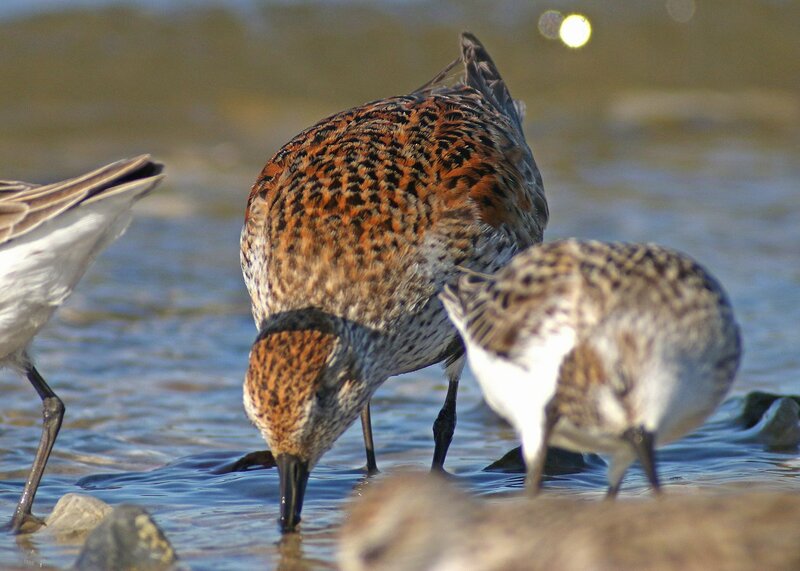 In winter Dunlin are bland birds, the color of sand on a gray morning. Don’t get me wrong, they are nice to see, mostly because in winter we have so few shorebirds around in New York, but they are definitely not going to be the red-letter bird of an outing. But when spring comes and they get into high breeding plumage, wow! Suddenly, when they are in their nuptial finery, they can rival the brightest wood-warblers with their colors. 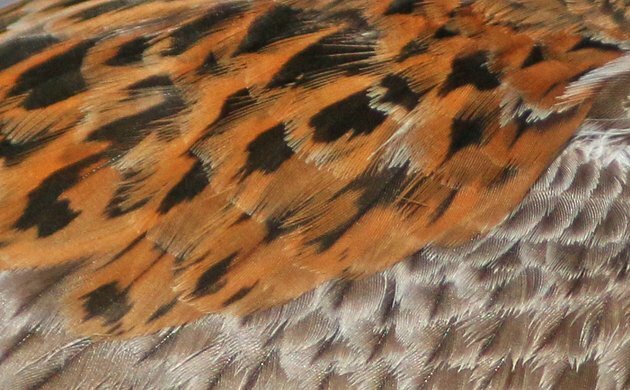 Just look at the plumage detail in the above picture. Amazing, no? And, lucky me, I have the perfect spot to see Dunlin up close and personal when they have transitioned into their fine feathers. Big Egg Marsh in Broad Channel, Queens, hosts a wide variety of shorebirds that come to fatten up on Horseshoe Crab eggs each and every spring. 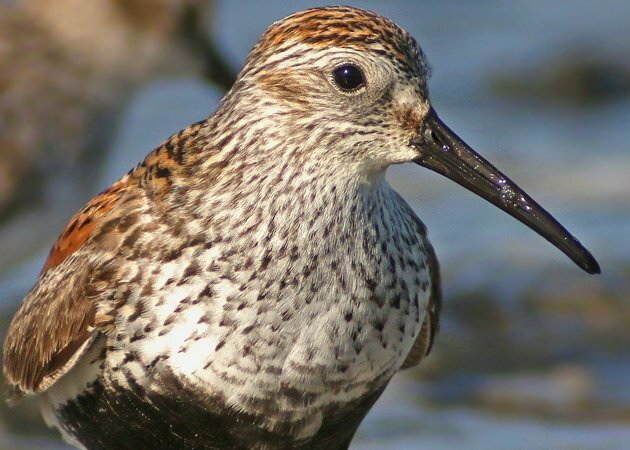 The bulk of the birds is invariably Semipalmated Sandpipers, but there are always Ruddy Turnstones, White-rumped Sandpipers, and, of course, Dunlin. Yeah, you can click it for a bigger image. Go ahead, you know you want to. 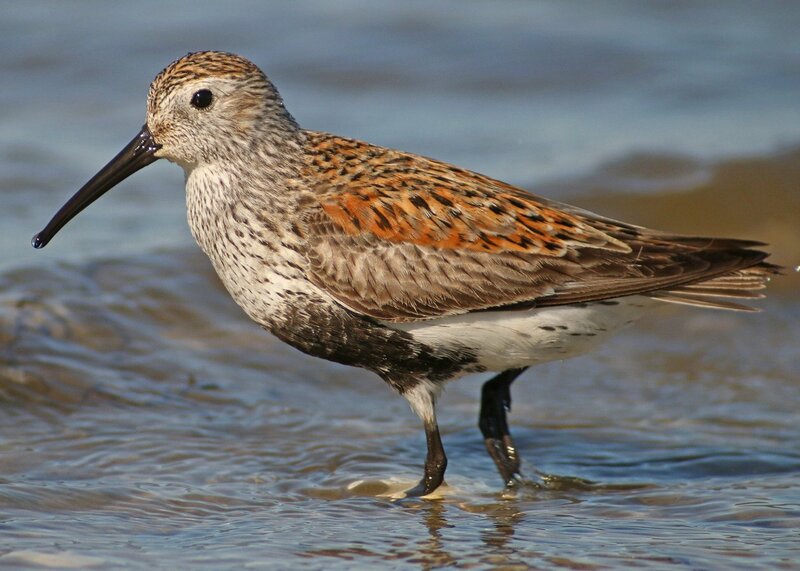 I spent some time there both mornings this past weekend, enjoying the shorebird show, and, especially, the Dunlin. I hope you like looking at these pictures as much as I liked being on the beach to take them. Enjoy! That droopy bill is a big help in identification when you are looking at a bird in basic plumage. When Dunlin are in breeding plumage you certainly don’t need that field mark! 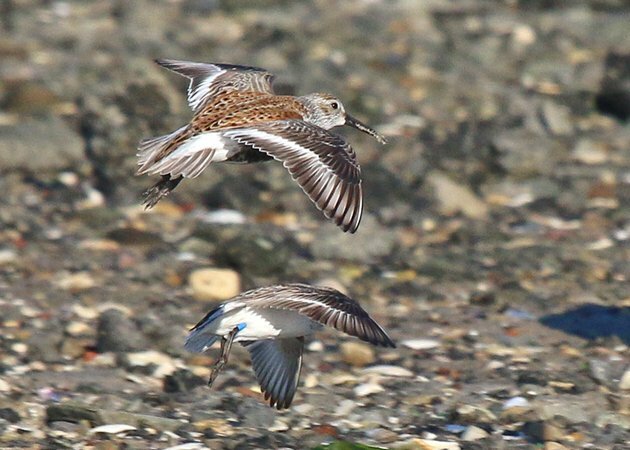 Dunlin even look snazzy in flight! The Semipalmated Sandpiper below it could not compete, even wearing jewelry. 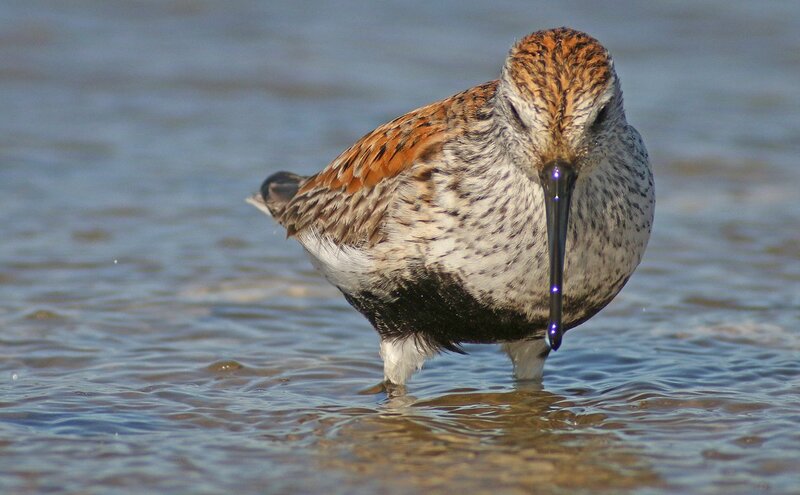 Dunlin. Truly a gorgeous bird!